In the past month a lot has changed with Muse being updated almost at the same time certain web browsers were updated. New version of Adobe Muse loads scripts asynchronously which basically means it loads code in different order to achieve faster page load in the browser. I guess this doesn’t sound interesting or relevant to a Muse Designer but it sure had impact on widget producers. By focusing on page load speed, the widget code was a bit overlooked by Adobe Muse guys and some widgets changed their behavior which created a lot of additional work for us. On top of that we’ve received a lot of feedback in regard to Apple iOS devices because, as I mentioned before, they updated their browsers as well which also created a number of issues, with parallax effects in particular. So, for the last month and more, we’ve been very busy on squashing the bugs created by all these changes. More specifically, we’ve released a major update for our Responsive Parallax Backgrounds widget, and two medium priority updates for Video Backgrounds widget and for the Video Fill Tool widget. It was a month of staying very late at work and we are so happy to have finally finished working on updates. This means we are ready to jump right back into what we love doing the most, and that’s creating new stuff. 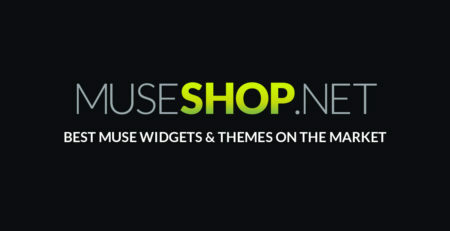 So I’m happy to share with all MuseShop.net guys that awesome new stuff is coming up. Thanks for hanging in there and prepare for new themes and widgets! 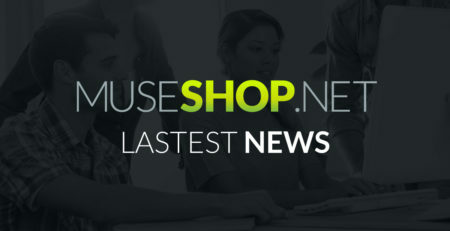 Adobe is ending new feature development for Adobe Muse and what does this mean for Muse users?